That we have a digital savvy and social media friendly prime minister in Narendra Modi is well known. Modi has taken to social media like a fish to water. His hashtag-friendly campaigns #ChaiPeCharcha, #StartupIndia, or #MakeInIndia have gone more viral than any top brands’, his timely tweets about every occasion – be it a minister’s birthday or a tragedy in another country – continue to impress, and his latest Bob-Dylan quoting cameo at a Coldplay concert on a live video was much talked about. 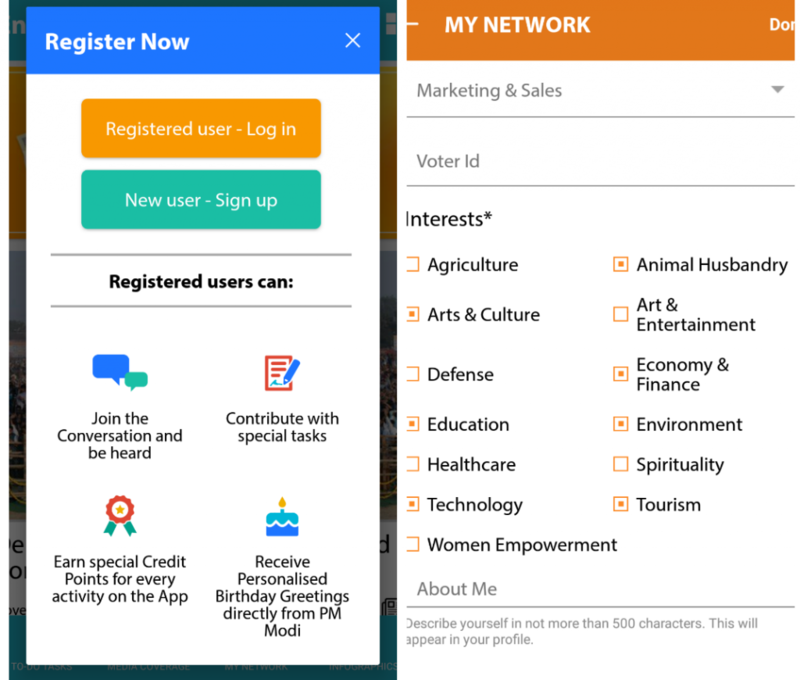 A while ago, the PM rolled out an eponymous mobile app that seeks to serve as the hub of all things government under the larger #DigitalIndia initiative. While the app has been around for a while, it’s gained momentum again as Modi now seeks to garner public opinion on his controversial demonetization move rolled out 2 weeks back. We tried to take the app for a spin, and were pleasantly surprised. The Narendra Modi app which has over a million downloads can give any tech company a run for their money. It serves as an announcement board and a content hub for all the Modi-led government initiatives. The stories which include press statements, videos, announcements and news appear in a user-friendly grid. 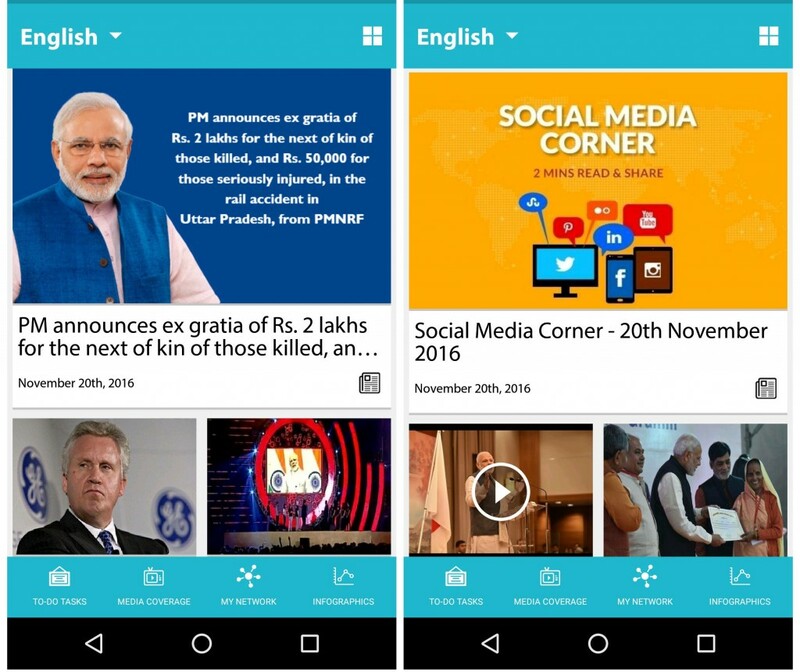 Needless to say, Modi’s face makes a frequent appearance all over the app. 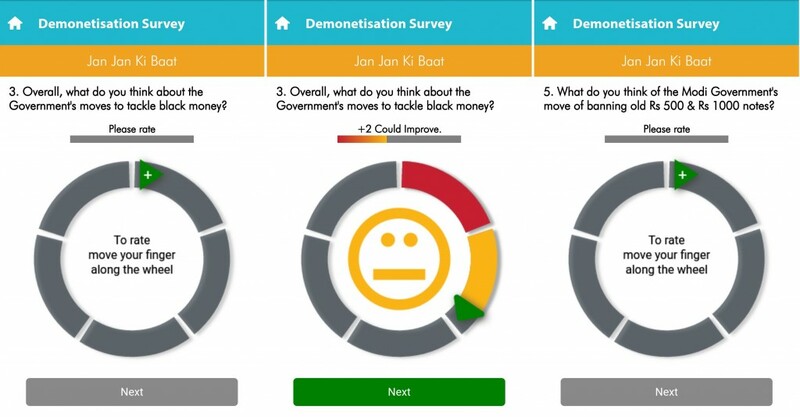 But perhaps what was the most impressive part of the Modi app was the demonetization survey. The survey which requires a user to be signed in spans across 5-6 pages, each with a multiple choice question or rating. The sign up process is intuitive, mostly one-click based and prods the user to share relevant details. 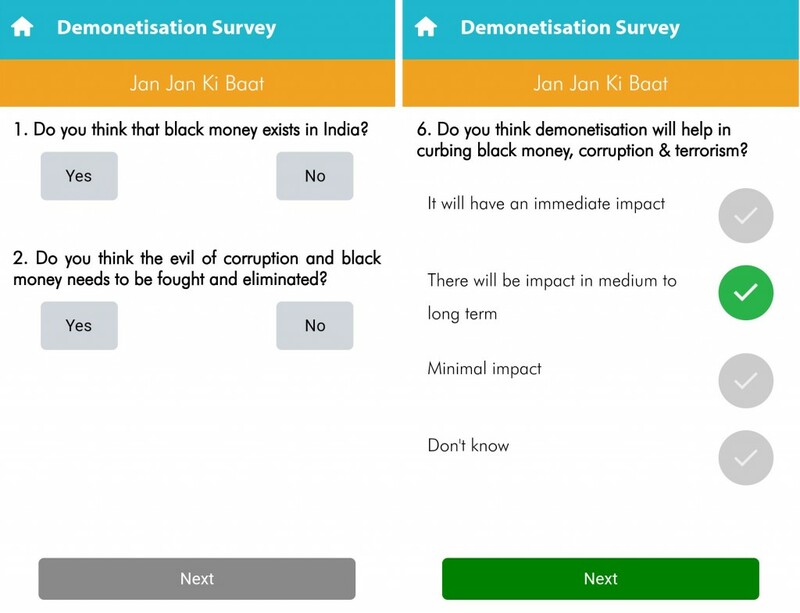 The survey begins with asking the user if “Black money exists in India” and if it needs to be “fought and eliminated”, somewhat conditioning the user to be pro the move. As a UI enthusiast, the survey then turns very interesting, and seeks to rate your experience on a wheel that can be set to different levels of satisfaction on a simple “wheel roll” on your screen. The survey ends with a space to provide suggestions or other comments. The whole process takes less than 5 minutes from start to finish. No matter what your thoughts on demonetization and this survey results may turn out, you have to give it to the Modi government for having its digital game on point. The days of shoddy looking government websites may well-nigh be over. Hello, government 2.0.